NEW Hood Heatshield. If you have an R55 R56 R57 R58 R59 MINI Cooper S then this is a must have and it's cheap. For those of you who have been affected by the warping hood scoop due to excessive turbo heat, this new hood mounted heatshield has been developed. It simply mounts to the hood with two supplied mounting clips and covers the back half of the scoop to reflect heat away from the scoop and prevent warping. No drilling or cutting required to install, only takes less than 5 minutes to install. It works great! Install was easy, although I'll admit I had a little trouble mounting it until I realized you needed to remove the plastic screw from the mounting clips and then try to screw it in. I felt like a bit of a bonehead after that. 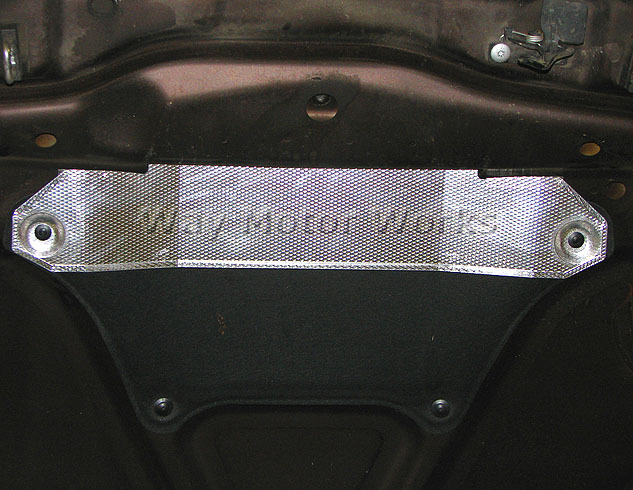 I have this installed in conjunction with the NM Engineering heat shield since I felt it could have done a better job keeping the heat away from the scoop. After a drive, my scoop was cool to the touch. This is an inexpensive mod that simply works without any muss or fuss. Works as it should. Installed last night on my 2011 MCS, and drove the car this morning. My hood scoop was cool to touch. I'd say luke warm. Took me a minute to figure out how to the get the tabbed end of the heat shield to sit properly in the scoop area. Possibly shipping a one page diagram with this would be helpful. Made me feel really dumb trying to figure that out. Once you get that it's pretty easy from there. 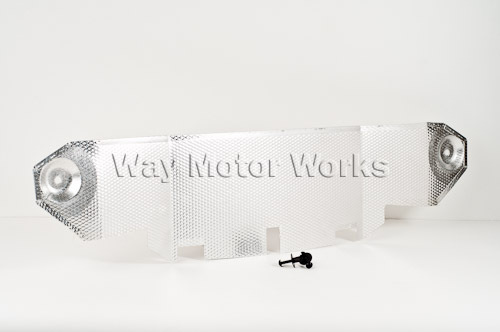 I am kind of worried about the plastic mounting tabs that come with it to secure it into the holes under the hood. They seem a little loose, and I think they might end up coming out down the road by their self. Why Mini hasn\'t provided one yet is a mystery, or maybe not. A simple solution to simple problem. It took care of the issue on our \'07. Just installed - it should help, but the two little molly-screws provided are very cheap, do not hold it very securely, and I'm expecting that it will rattle against the hood. Little disappointed as I had to cut the center notch out a little wider and deeper in order to fit. However, not a huge task. 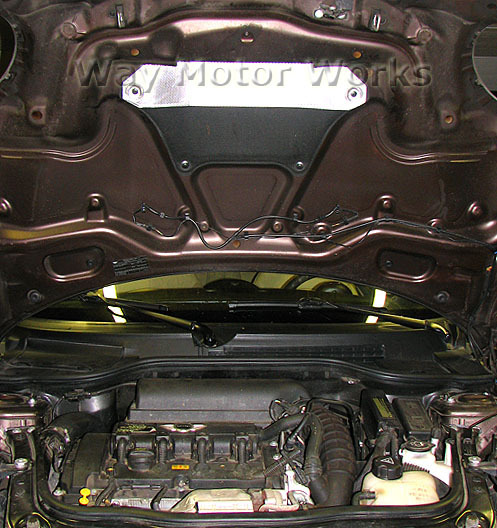 Otherwise, the holes for the fasteners lined up with the hood and it fit well over the larger fabric heat shield.